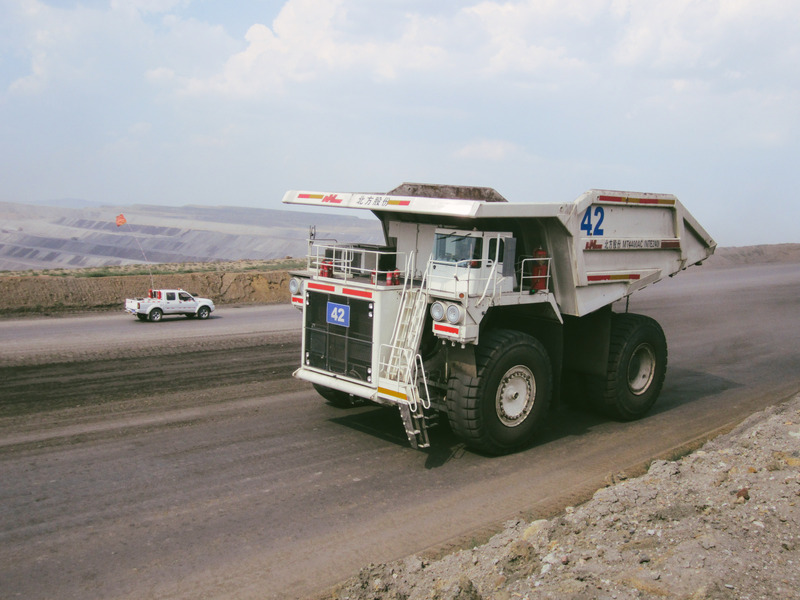 The Shenhua Mine is located near Xilinhaote Inner Mongolia in China. This region experiences a cold semi-arid climate with winters that are long and very cold. They are followed by summers that are short, hot with heavy precipitation. Rainy season typically lasts between May and October with the highest level of precipitation experienced in July and August. When it rains, the mine operations will be suspended as the road conditions can quickly deteriorate. This makes it very unstable and dangerous for use. The stoppage in work due to rainfall was not only inconvenient, it was also very costly. These unplanned interruptions meant major losses in profits due to delays in hauling and harvesting coal. Any time a mine is not moving ore, it is losing money. The mine's major issue is dealing with clay rich soils surrounding the coal deposits and having to construct an open pit mine, haul roads and loading areas with these clay rich soils that lose strength with rainfall, and especially during wet weather. Shenhua needed a solution that would keep the mine operating throughout the year, regardless of weather conditions. EarthZyme® was chosen for its ability to enhance the engineering properties of clay rich soils. Comprising of a combination of enzymes, electrolytes and surfactants, the EarthZyme formula works by freeing water from the soil enabling it to be compacted into a denser form and altering the clay to bind it together permanently. 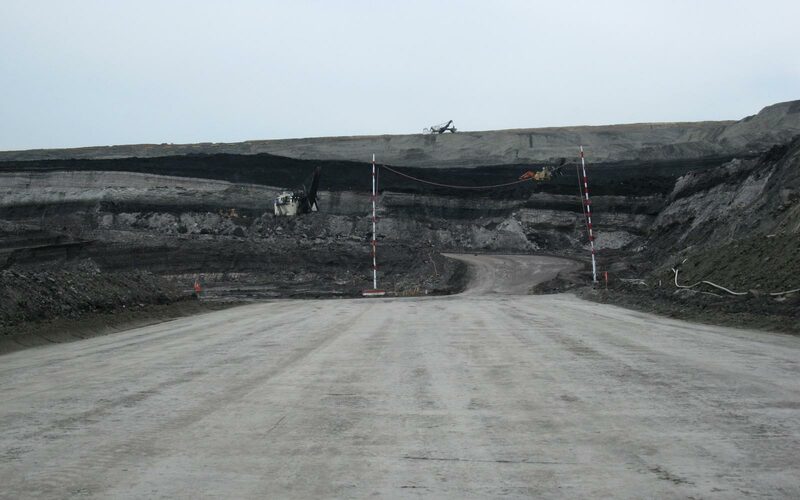 The roads that EarthZyme® was applied to exhibited tremendous strength despite rainfall, allowing for haul traffic to continue in wet weather conditions. On an annual basis, Shenhua Mine will be able to harvest more coal as well as benefit from savings due to the reduced need for dust control, road maintenance, machine maintenance and fuel. Shenhua Mine has plans to construct many roads in the future with EarthZyme® to alleviate the issue of shutting down operations during rainy season. 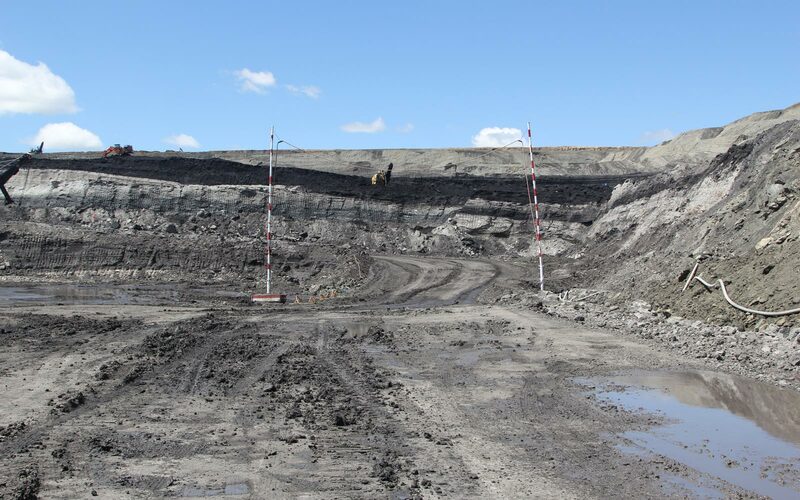 After the positive results of the road stabilization in 2013, the management group of Shenhua decided to build an additional 19.8 km’s of permanent haul road, stabilized with EarthZyme®, in 2015.